Which is the best hosting for my WordPress website? It is easy to create a blog now days. You don’t need an extensive knowledge in programming to set up your own website. In fact, you can start a blog within 5 minutes in a blogging platform, such as WordPress. WordPress is an online open source blogging platform, which enables users to manage their websites easily. You can start a blog in WordPress for free. You could also find a web design company to build you a website using WordPress that way you would be able to update and add new content to your WordPress website all by yourself. However, there are a lot of disadvantages in using the free version of WordPress. The free version will somewhat limit your space and freedom. You also have no choice in terms of your domain name, since it will most likely end with WordPress.com. You will also have a hard time monetizing your blog using the free version of WordPress. If you want to take blogging into the next level by monetizing your site, you should consider finding a web hosting company, which can give you a lot of freedom. A web host is an investment because it provides you a space on the server, making your website available to those who want to read your blog. Lots of hosting company’s answer the question which is the best hosting for my WordPress website by claiming to be the best. They’re offering various services such as plans with different packages that ordinary people can’t understand. For this reason, it is important to know the different kinds of web hosting and which one is suitable for your needs. If you’re not knowledgeable about the different kinds of web hosting solutions, you may end up paying more than what you need. 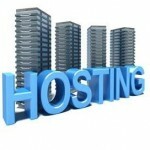 Next we will briefly tell you about the different types of hosting. If you are still unsure please feel free to contact us before you sign up and we will answer any questions you may have on hosting. The shared server hosting is the cheapest among all the web hosting services. The reason behind this is because you’ll be sharing a server along with thousands of other websites. It’s like you’re sharing a rent with other people. It’s the cheapest. The price ranges from $2 – $20. The CPanel is user-friendly. It doesn’t require an extensive knowledge in programming. It’s recommended for users who don’t use a large amount of data. It’s ideal for starters who want to create a blog. The other websites whom you’re sharing the server with can affect you. They can slow you down if they’re using a lot of resources. You have your own space using a virtual private server hosting. You will no longer share a server with thousands of other websites. The performance of the other websites doesn’t affect you anymore. It’s a bit costly. The price ranges from $10 – $70. It requires a little technical knowledge. Using a dedicated server hosting, you’ll own the whole server. You won’t be sharing anything with anyone anymore. You have full control over your website. You have the full control in the maintenance of your website. You can use a lot of resources. Answer: If you’re just a beginner, and you just want to create a blog that won’t use a lot of resources like YouTube and Instagram, you should consider buying the shared server hosting. If you notice that you’re already using too many resources like a huge amount of disk space and bandwidth, you can upgrade your hosting solution to VPS (virtual private server) at any time. On the other hand, if you’re planning to build a website similar to YouTube, Facebook, or Instagram, you should consider paying for a dedicated server. For further assistance, you can also find more on the best web hosting on our website 2createawebsites or hire a WordPress developer and get better results. Web Hosting Services. What is web hosting and why do you need it to build a website. Web hosting companies have banks of computers that are configured as an internet server and when you use them as your hosting provider they store your files on these computers, in exchange for a certain rental fee. This will allow your website to be available on the Internet 24 hours a day, 365 days a year. The web server offers uninterrupted internet connectivity to software packages, which offer lots of additional services such as e-mail, ftp, databases, as well as an environment for utilizing different programming languages such as perl, php, java, xhtml, html and more. When deciding which web hosting company to use, remember cheaper is not always best. Think of your site as a business, if you were going to rent a building to sell your product’s or consult with clients would you choose the cheapest rental? No as you want to impress your shoppers and clients with a building that looks good and in a nice area. The same applies with web hosting choose a company like Green Geeks they have been around for a long time. The technical support is great if you have a problem and available 24/7. Their control panel is full of web design tools, and site builders like WordPress. Another top web hosting company is Inmotion hosting they are great especially if you would like to build a website with WordPress. WordPress is invaluable web software (CMS) that allows you to create either a website or a blog (or both) in very little time. Install WordPress with a click of a button at Inmotion hosting – WordPress is so accepted on the Web that search engines have special algorithms to catalog WordPress sites. Crystone Hosting Services. All plans include a 45 day money back guarantee. If you are dissatisfied with your service for any reason, you will receive a full refund if you cancel your account. Crystone hosting also guarantee 99.9% up time for your website, as well 24/7 technical support. Zero Risk Guaranteed Every web host company offers a 30-day money back guarantee and many also offer an anytime money back guarantee, but who offers completely free hosting? IX Web Hosting. Try it free for a full week, they won’t charge your card until after the 7 day trial period, and if you cancel before your 7 days you will never be billed, you have nothing to loose. When you purchase your web hosting package from any of the web hosting companies above you will be able to sign into a control panel, on that control panel will be displayed a lot of different web design tools and website builders to use, they will be included in your monthly or yearly hosting fee and are free to use. One of the best ways to make a website is with WordPress, once you sign up look for WordPress its free to use and download. From your WordPress control panel you will be able to start building your site or blog.